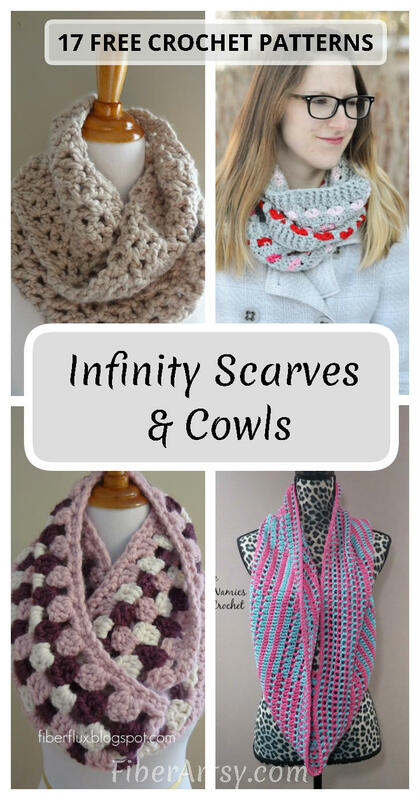 Here’s a fun collection free patterns for you to crochet this winter. 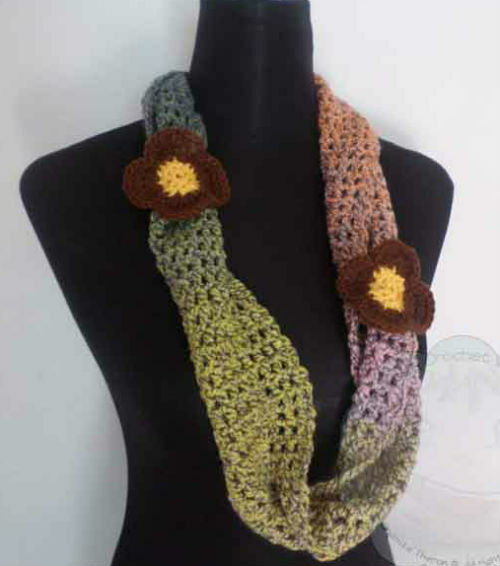 So, Summer is almost over once again which means it’s time to bust out your crochet hooks, yarn and knitting needles. 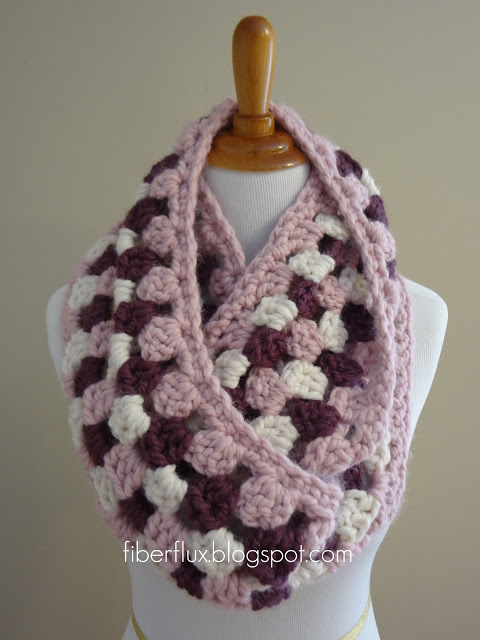 Ready or not, winter is coming soon and I don’t know about you, but I’m tired of cold weather. In the meantime, though, I do enjoy the Fall very much. 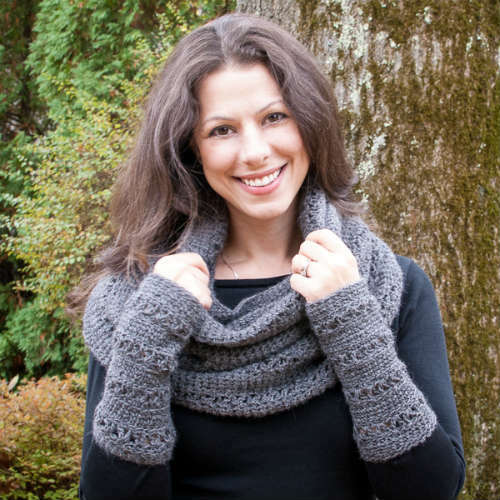 The pumpkins, corn mazes, hot chocolate … Fall also reminds me of cuddling on the couch after dinner and knitting a fun hat or crocheting a pretty scarf. 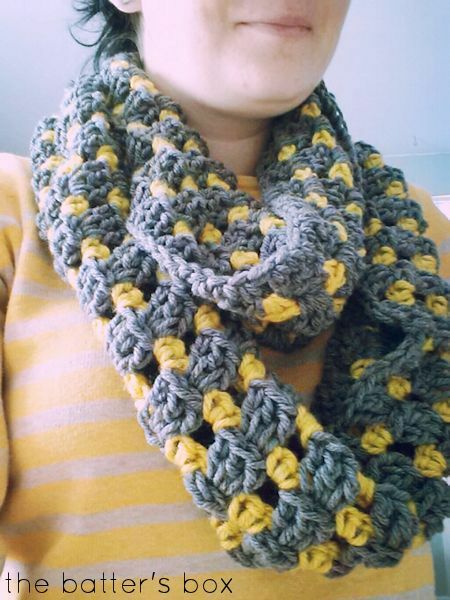 I seem to have given away all of my handmade scarves (how does that always happen??) 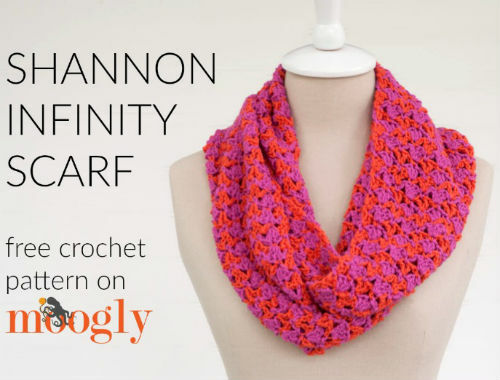 … so, I decided to find some easy crochet infinity scarf patterns to try out. 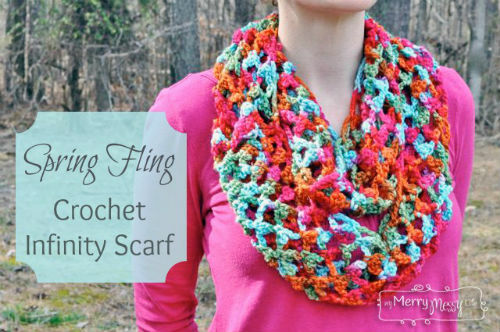 Scarves and cowls generally knit or crochet up very quickly so those projects are right up my alley. 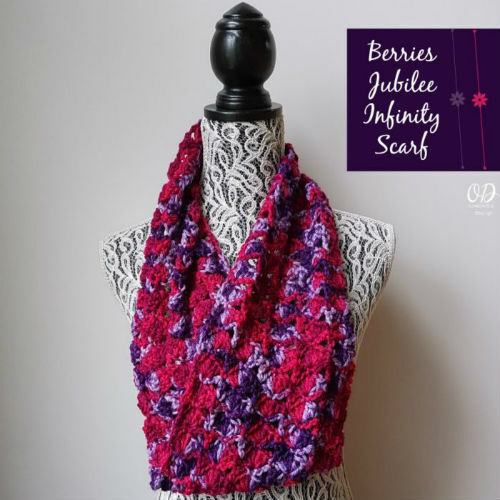 And, there’s still plenty of time to whip up a lovely scarf for a special Christmas gift. 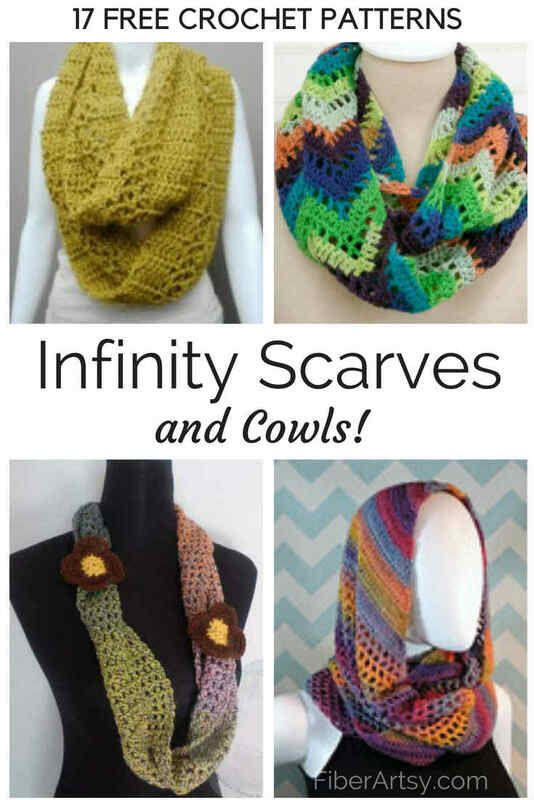 I learned a long time ago that the only finished projects at my house are quick ones so these infinity scarves and cowls are perfect for me. 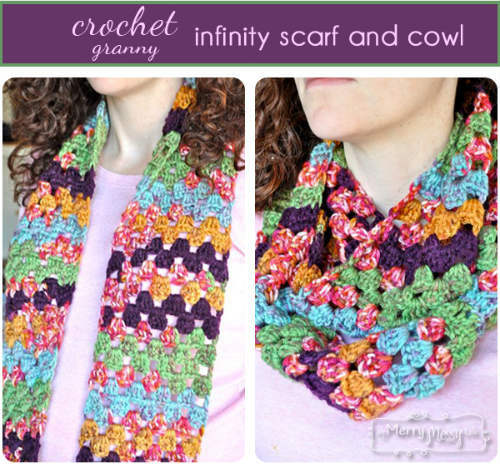 Plus they are all crochet patterns which usually work up much faster than knitted patterns. 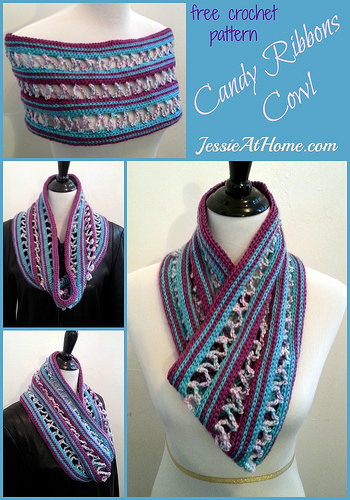 (Sorry knitters, no knitting patterns included this time). 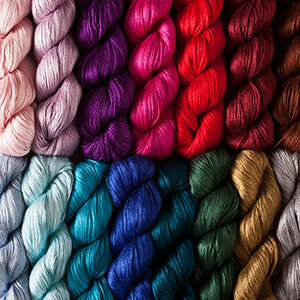 Luminance Lace Yarn is a fabulous 100% Silk Yarn that’s perfect for lightweight, lacy scarves and shawls. 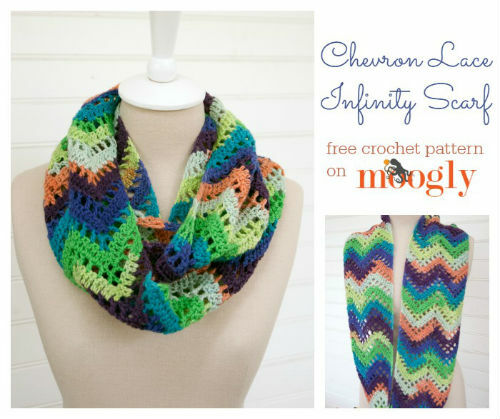 A great big Thank You to the lovely crochet pattern designers for allowing me to share their free infinity scarf patterns. 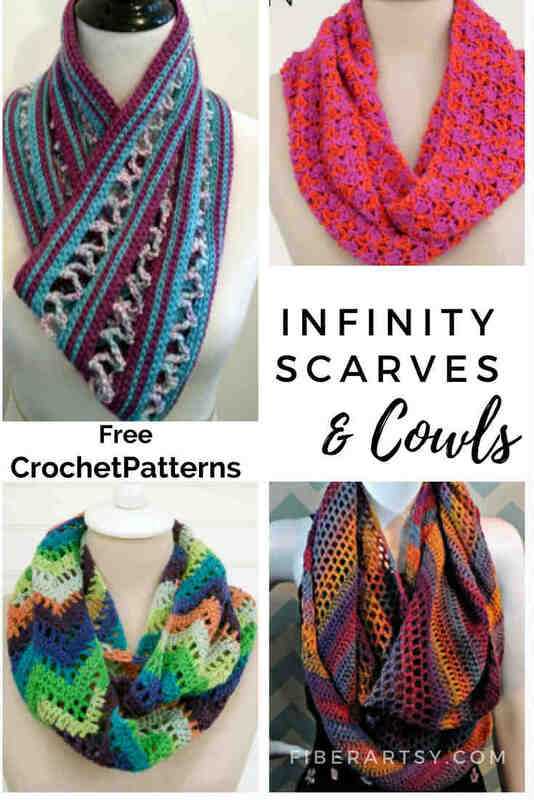 I hope you’ll give some of these lovely free crochet infinity scarf patterns a try and please let me know how they turn out. 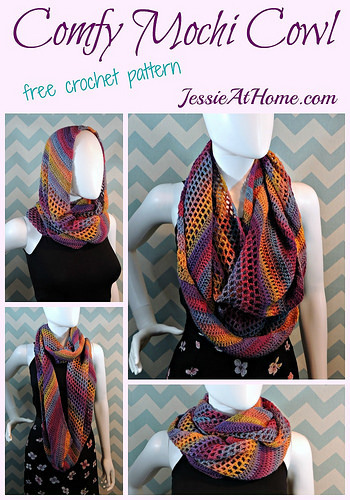 And don’t forget, if you’re a crochet or knitting pattern designer, feel free to add your free patterns to our database. 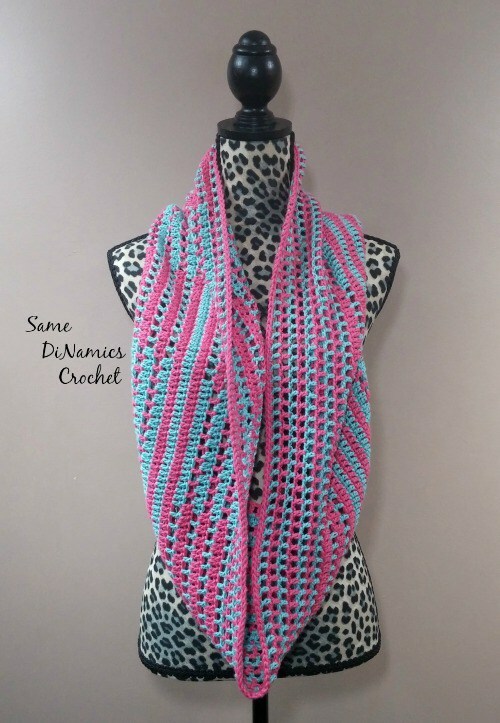 We link it back to your website. 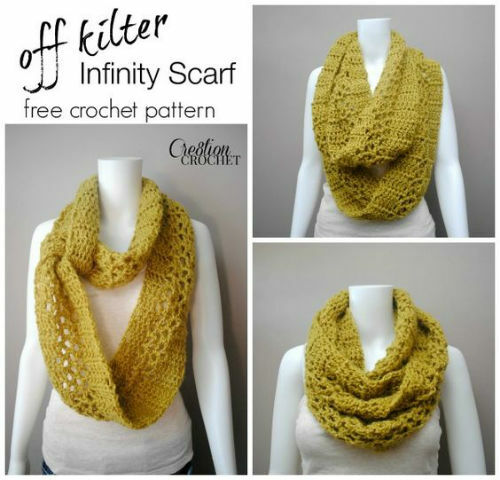 Lots more Free Knit and Crochet Patterns at Craftsy! 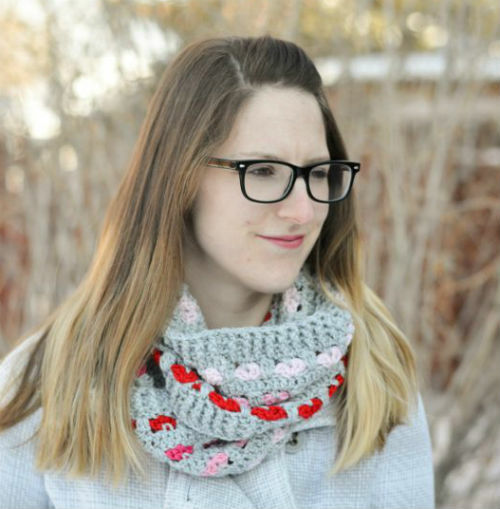 Thank you for sharing these patterns! Can’t wait to try them all! 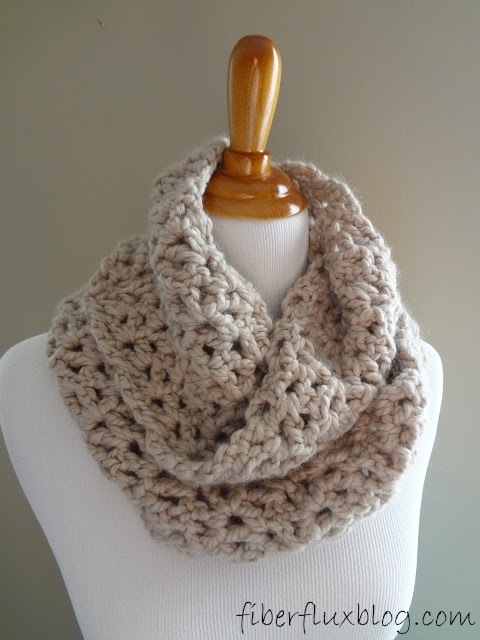 Fall is also my favorite season. 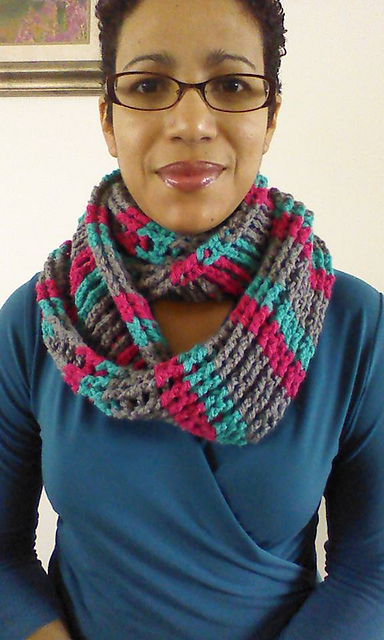 Please send me pix of your finished scarves. 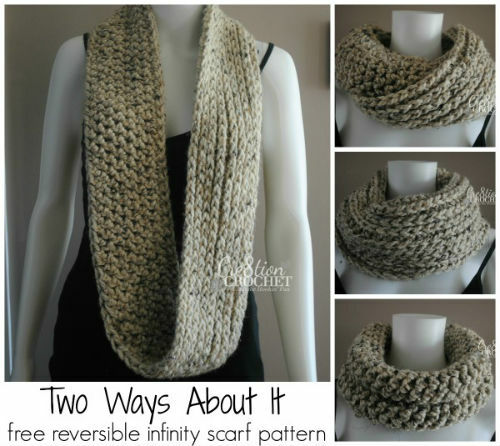 I’m going to attempt the Pavement Scarf (#10). Thanks for stopping by!